Sleeping in the 21st century has changed — these days, there are loads of gadgets to help you track every snore, shift and 2 a.m. bathroom break. Sleep trackers come in all shapes and sizes. There are the wristbands, like the ones from Jawbone and FitBit. Smart watches could become all the rage once the Apple Watch goes on sale. And other sleep trackers do everything from sense movement from under the mattress and track breathing from the nightstand. Ultimately, they are trying to do the same thing: collect data on how much sleep people are getting and whether that sleep is any good. But once people get all of those numbers, what are they supposed to do with them? We asked three sleep experts how to get the most out of their sleep trackers. Don't freak out if you only got five hours of sleep last night. It's better to "examine the trends (e.g., several nights in a row), instead of just focusing on one night's data," Dr. Clete Kushida, medical director of the Stanford Sleep Medicine Center, told TODAY via email. It's about looking for troubling long-term trends, not fretting over whether last night's Frappuccino was a bad idea. Most likely, you don't sleep on your remote control or wear your favorite watch to bed. There is a reason for that. "The problem can be in some cases that the wearable disrupts sleep itself," Michael Breus, a clinical psychologist known as the "Sleep Doctor," told NBC News. If wearing something like a FitBit or the Microsoft Band to bed is comfortable for you, go for it. 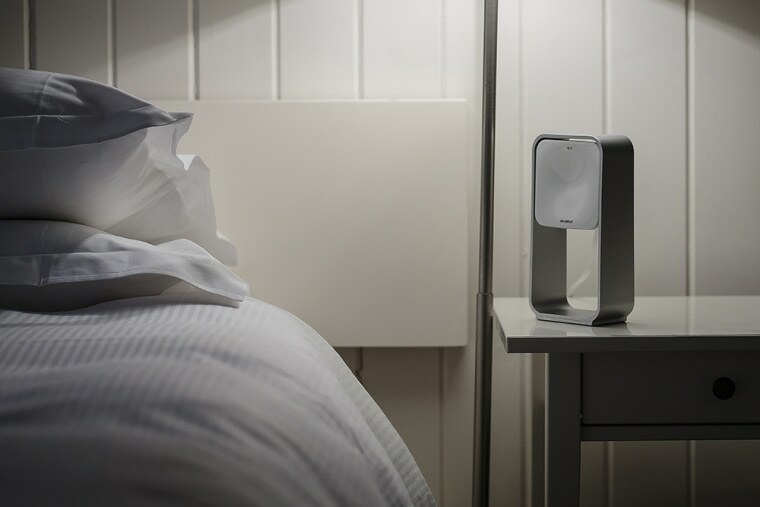 Breus is currently trying two gadgets that hopes can make sleep trackers less intrusive: the ResMed S+ and the Beddit, both of which don't need to be connected to the body. Every professional contacted for this story warned that if you think you have a sleep disorder, you should tell a doctor or sleep specialist. "If you are interested in learning more, then I am fine with [using sleep trackers]," Breus said. "If you are trying to diagnose a sleep disorder, then you are much better off seeing a sleep specialist and getting a sleep study." Most sleep trackers overestimate how long people sleep and underestimate how many times they wake up at night, Hawley Montgomery-Downs, a sleep researcher at West Virginia University, told NBC News. Essentially, people may think they are getting more sleep than they really are. "It's very detailed information, but the details are wrong," she said. That could be dangerous for people who really need professional help, she said. The technology Montgomery-Downs uses tracks everything from eye movement to brain waves. While she doesn't think any gadget she has tested comes close to what the pros use, she hopes that the boom in sleep trackers could result in something that delivers the whole package. "I'm very optimistic," she said. "I think it's entirely possible that within the next decade we could have technology that will be able to replace 40 external sensors on someone."